Below is a summary of what I was taught in Seminary about the Inspiration of Scripture. In the next few posts, I will question and critique the information below. I’m going to say some challenging things, so make sure you subscribe to the RSS feed. That work of the Holy Spirit in guiding human authors to compose and record through their personalities God’s selected message without error in the words of the original documents. God superintending human authors so that, using their own personalities, they composed and recorded without error his message in the words of the original manuscripts. 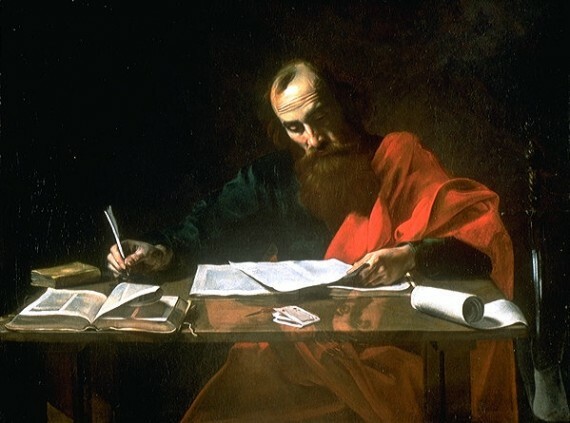 Aside from 2 Timothy 3:16, another key text is 2 Peter 1:21 which indicates that men of God were moved, carried, or driven by the Holy Spirit to write Scripture. Many also use 1 Corinthians 2:12-13 to defend Inspiration, which talks about expressing spiritual truths with spiritual words taught not by human wisdom, but by the Spirit of God. The authors were not passive instruments, mechanically recording what God dictated, but the Spirit used their personalities and individuality in the process of writing Scripture. This is why different books of the Bible which are written by different authors have different tones, vocabularies, thought patterns, and sentence structure. Note that some of the authors (such as Jeremiah and Paul) used an amenuensis (a secretory, or scribe) to record what the words they spoke (cf. Rom 16:22; Gal 6:11). Inspiration extends only to the written words of the Bible. It refers not only to the Bible as a whole, but to every sentence, word, and even down to the individual letters (cf. Matt 5:18; Gal 3:16). Inspiration only applies to the original manuscripts which were penned by the original authors. No Greek or Hebrew text that exists today, nor any English translation is inspired. If we are to follow the instruction of Jesus in living according to every word of God (Matt 4:4), we need to know with certainty and accuracy what the words of God are. 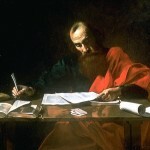 Since our daily decisions and actions as followers of Jesus depend on the meaning and application of individual words of Scripture, it is necessary to know that the words themselves are also inspired. Hello, Neat post. There’s an issue together with your site in web explorer, might check this? IE nonetheless is the marketplace chief and a large component to people will leave out your magnificent writing because of this problem.